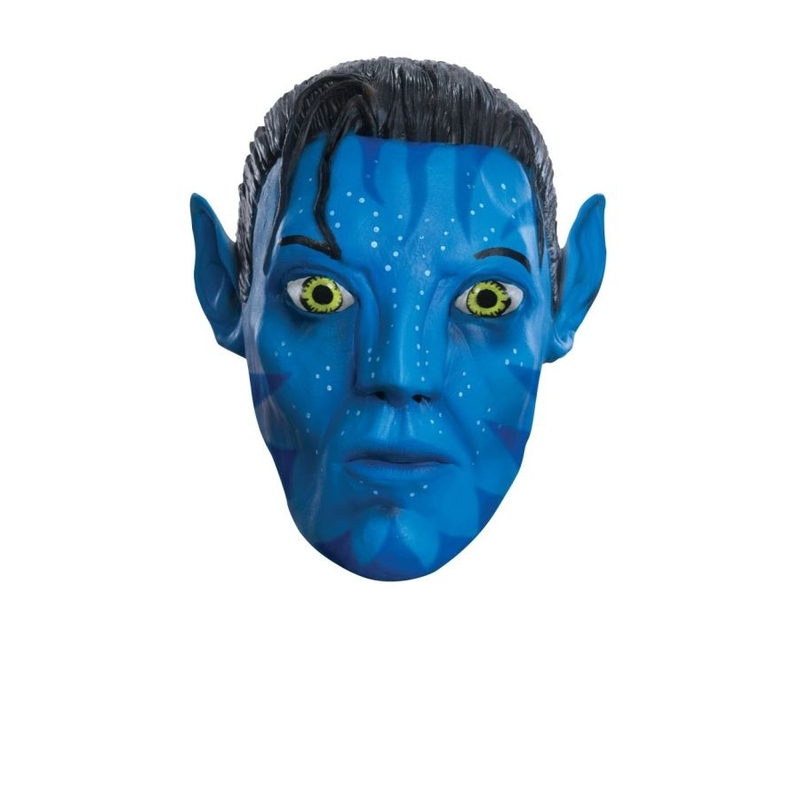 Official Jake Sully mask, from James Cameron's motion picture, Avatar! This adult 3/4 vinyl mask with ears, has realistic detailing that brings mask to life! Features Jake iconic blue face with striped tribal patterns, white spotted freckles, and red detailing on ears, nose, and mouth of the mask. The mask also features latex hair coverage that measures 8 inches! Mask has openings at ears, eyes, nose, and mouth. Just the mask you need for your Avatar costume! Mask measurement: Hair line to bottom of mask: 9.5 inches, hair line to back of hair on the mask: 8 inches, across mask: 10 inches, ears from top to bottom: 4.5 inches, depth of mask from nose to back of mask: 6 inches.